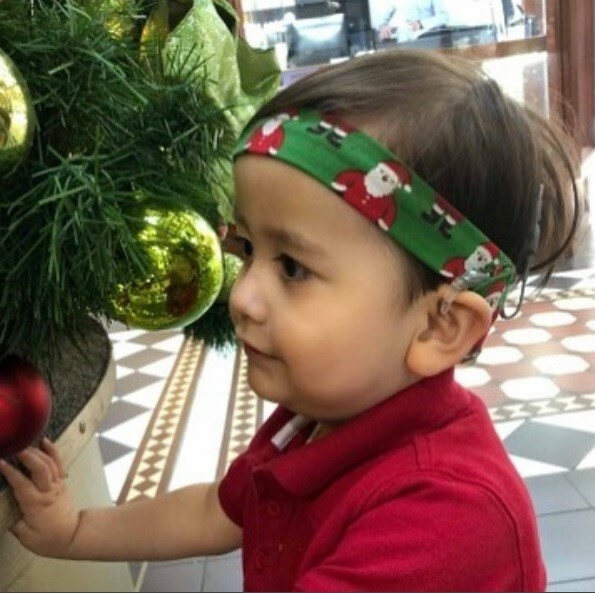 As the festive season approaches – embrace the opportunity to celebrate your child’s hearing aids with these parent tested top tips. We love these Christmas kits from http://www.mylugs.co.uk/ Choose your festive charms from reindeers and snowfolk, to dancing Santas and cheery teapots. Charms slot easily onto hearing aid tubes. All hearing aids are catered for and kits include sparkly foil stickers, so little ones can be involved in picking their favurites. These are highly recommended for babies and are made from a lovely soft cotton jersey fabric. The hearing aid or processor sits in a specially designed pocket keeping it soft and comfortable on the skin. Easy to clean with many designs to choose from. The Santa one is our favourite.